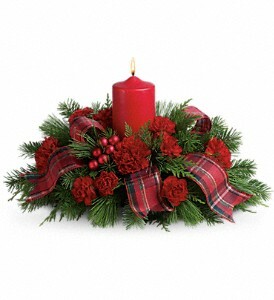 A beautiful poinsettia plant is a wonderful addition to the home to decorate for Christmas. Whether you purchased one for yourself or have received one as a gift, questions often arise about how to best care for it. 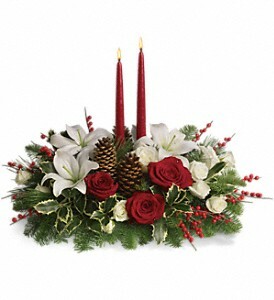 Poinsettias come primarily in red but are also available in white, pink and peppermint. Water: Check the soil daily and water if the soil is dry to the touch. 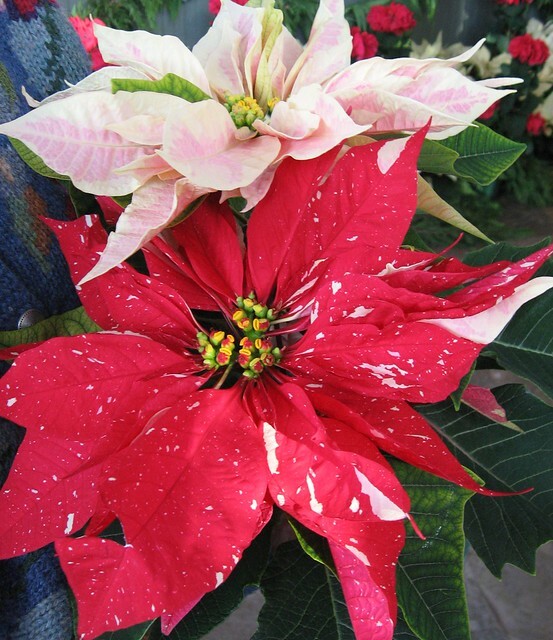 If your poinsettia has been placed in a decorative pot or basket take the plant (still in its plastic container) and water over the sink allowing the water to drain out of the holes in the bottom. Then place the plant back in its pot or basket making sure the plant doesn’t sit in water. Light: Lots of light are ideal for these tropical plants. South, west or east facing windows are preferable over a north facing window. Don’t let the poinsettia actually touch the window, however, as the cold pane will damage the plant. 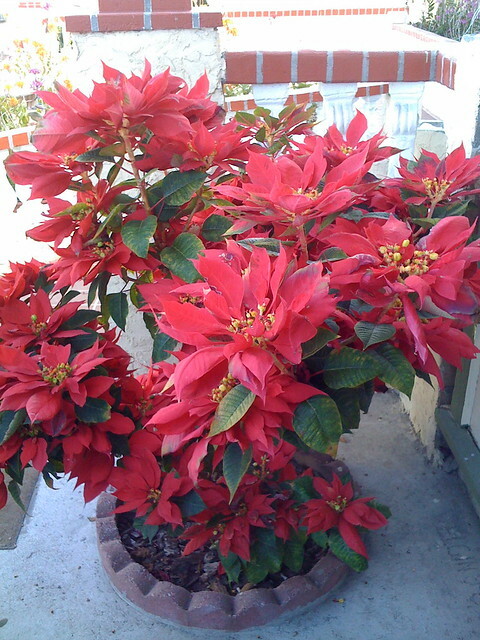 Temperature: Poinsettias enjoy a consistent temperature of 65-70 degrees during daylight hours. Avoid placing the plant in areas that are exposed to hot or cool drafts (near a heater or door). At night, move the plant to a cooler location but not below 60 degrees. 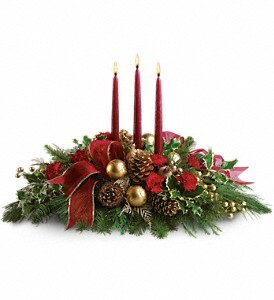 Wilting: A poinsettia without enough water will begin to droop. Give the plant a good soak and allow the water to fully drain out the bottom. Leaf Drop: Although this is a natural process of the plant, premature leaf drop can be a sign that the plant is exposed to hot or cool drafts. Check its location and the temperature where it is placed. Zodiac Sign: The centaur – the horse-and-man symbol for the Sagittarius zodiac sign – represents a combination of powerful intellect teamed with physical strength and energy. Strong, independent spirits and full of energy, Sagittarians are naturally open-minded and thirst for new ways of thinking, craving travel and exploration. Ambitious and optimistic, a Sagittarian’s hopes are not easily dashed, and perhaps because of this, they tend to find much luck in life. Birth Sign Flower: Capture the Sagittarian’s multi-dimensional personality with carnations – an equally multi-dimensional flower. Associated with a myriad of symbolism – from love to fascination, distinction to luck (when white), carnations aptly reflect this fire sign’s passionate nature, hunger for adventure, intellect and good fortune. And, as a flower known for its inherently long-lasting nature, carnations personify the Sagittarian’s strength and endurance. 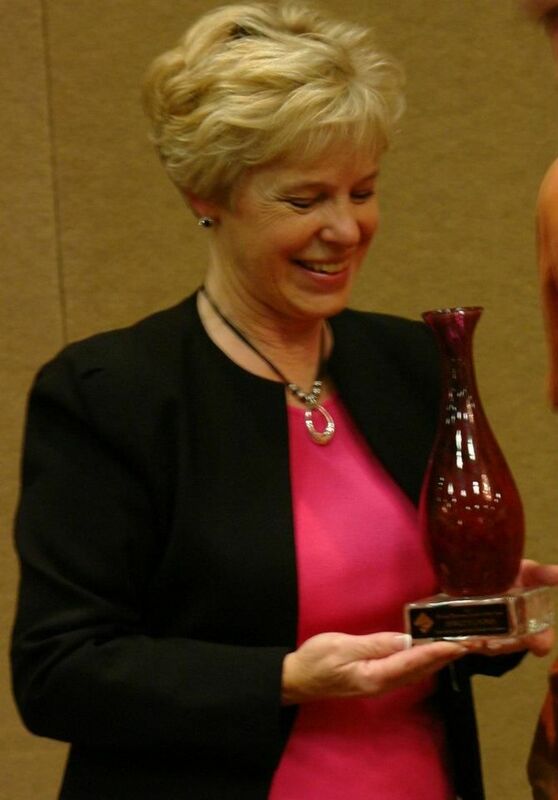 Here at Dandelions we are so proud that owner, Shirley Lyons, was just named the Woman Business Leader of the Year for 2011 by the Eugene Area Chamber of Commerce. 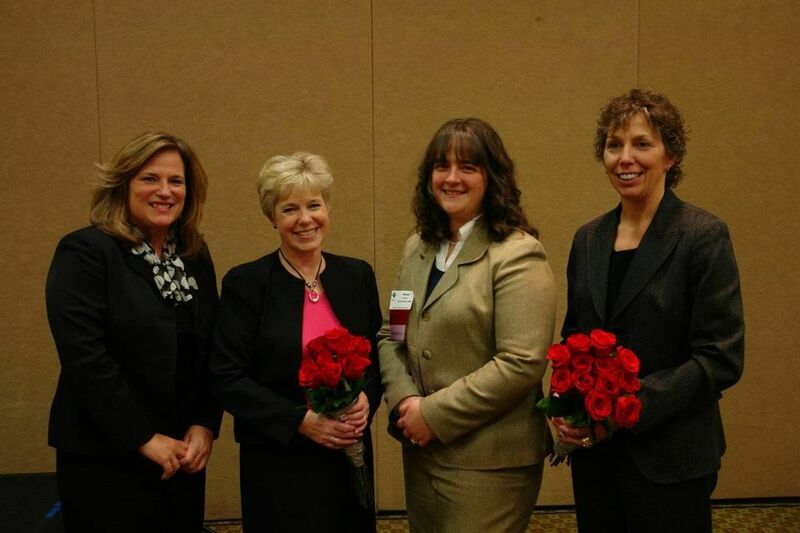 At a luncheon on Wednesday, attended by well over 200 people, Shirley and the other 2 finalists for the award were honored for their service to the community. Read the full Register Guard article here. Shirley’s long-term commitment to both her industry and her community are inspiring to all who know her. She started Dandelions from a small booth at the then-just-emerging Saturday Market in 1974 and has built it into one of the top 10% florists in the United States. 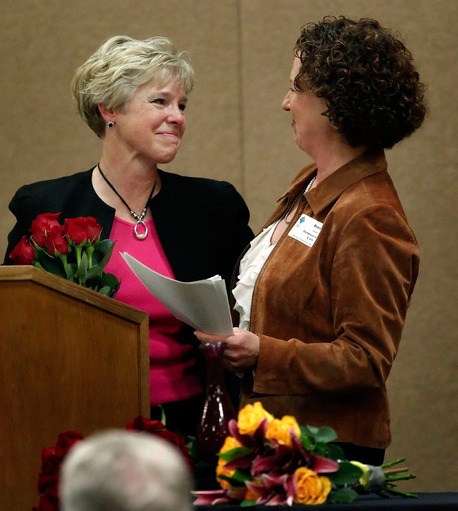 Thank you, Eugene Chamber of Commerce, for recognizing the hard work and dedication Shirley has shown. Dandelions is hosting a food drive to support Food For Lane County November 1-15th, 2011. Bring in 3-5 cans of food or other nonperishable food item to Dandelions and receive a $5 OFF coupon AND enter our drawing for a beautiful Thanksgiving centerpiece!